Roots2Share is an innovative project initiated by two Dutch and two Greenlandic museums. ‘Multivoicedness’ is the key term in this international cooperation which will require the active participation of people both in Greenland and in the Netherlands. 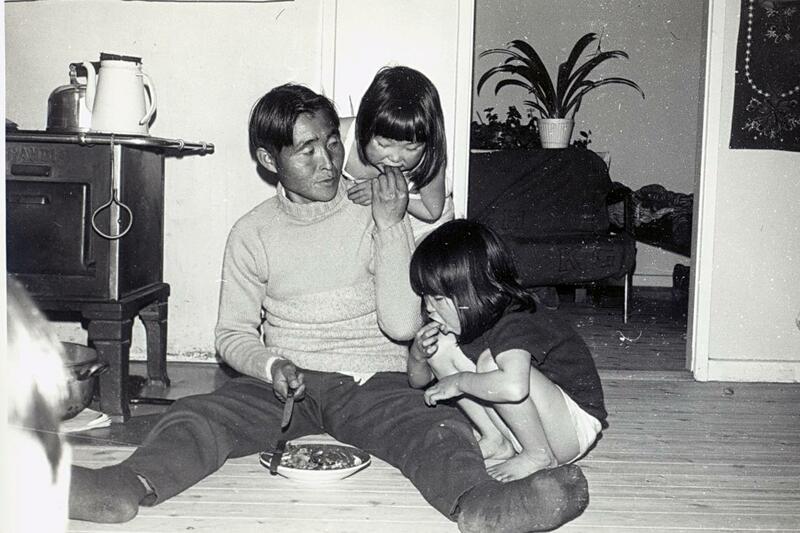 The project has been digitizing more than 10,000 photographs taken by the Dutch couple Gerti and Noortje Nooter, who spent long periods of time in East Greenland between 1965 and 1986. Most of the photos have been taken in Diilerilaaq (Tiniteqilaaq). At Root2Share’s digital platform, people can view the photographs and add comments and stories. A few photographs can be seen below. View the full collection at Root2Share’s website. 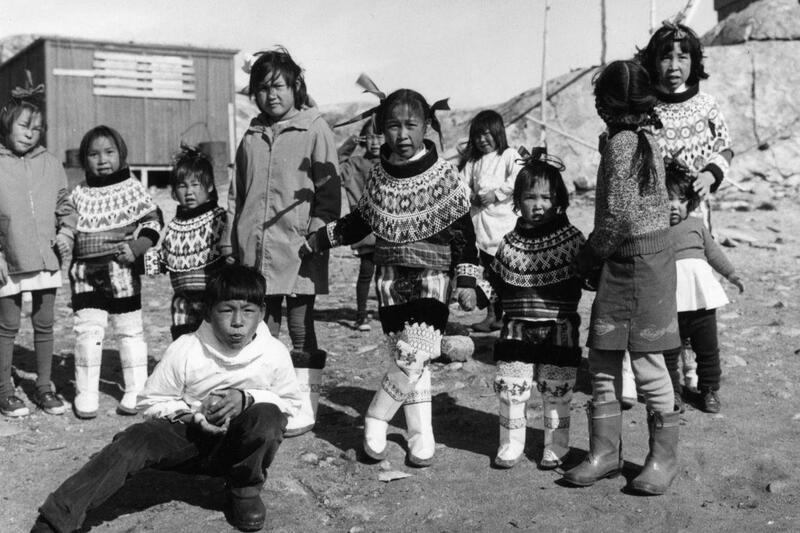 Children in national costume with beaded collars and bows in their hair. 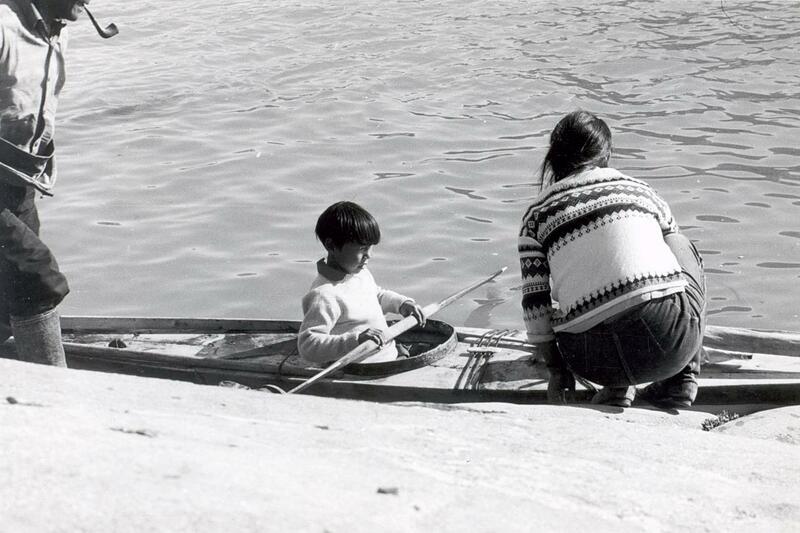 Little Pili Tarkissimat learning to use a kayak with Lars Tarkissimat on the left and Thomassine Tarkissimat on the right. Paulus eating and feeding bits to his two daughters. Tirsa has just been given a bit to eat; Asta already has her mouth full. 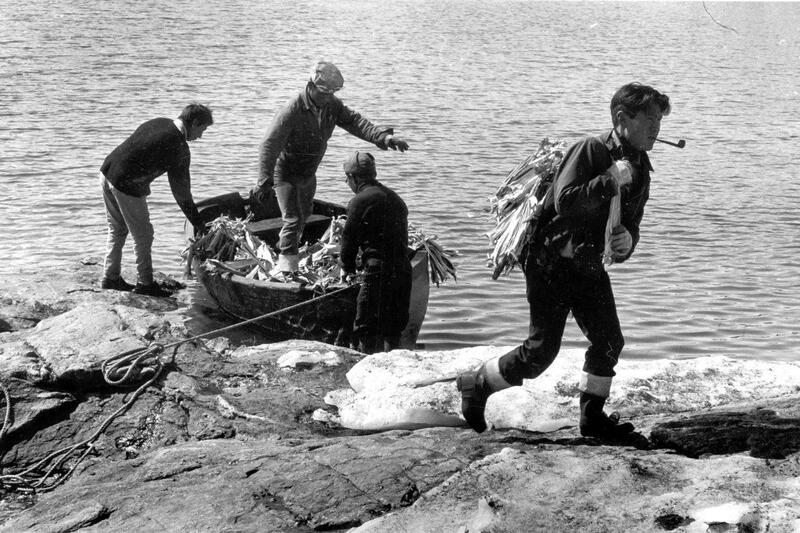 In the spring, when the first boat is expected to arrive from Ammassalik (Tasiilaq), the dried cod is taken from the racks on the island of Sarfaq and crated up. All rights reserved: Collection Gerti Nooter: Museum Volkenkunde, Leiden / Museon, Den Haag.